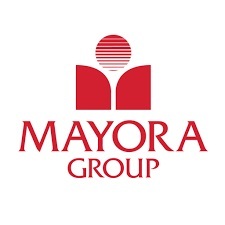 MILAN – Jakarta-based PT Mayora Indah Tbk (Mayora), producer of the popular 3-in-1 coffee brand Kopiko, has announced over $80-million investments in the Philippines for local coffee manufacturing and processing operations over the next five years. According to a company statement, Mayora inked a memorandum of understanding (MOU) with Lima Land, Inc. (LLI) to lease property within LLI’s Special Economic Zone in Malvar, Batangas. The MOU was signed on Monday, April 1, 2019, during the bilateral meeting between Philippines Trade and Industry Secretary Ramon M. Lopez and Indonesian Trade Minister Enggartiasto. Lopez said the coffee manufacturing and processing facility is projected to employ 200 in the initial stage and 3,000 in five years. This will be on top of the 4,500 jobs that Mayora’s Philippine-based businesses currently employ. The Batangas coffee production will help meet increasing demand of coffee for local consumption and exports. Kopiko is known as the country’s most popular 3-in-1 coffee brand, the statement added.